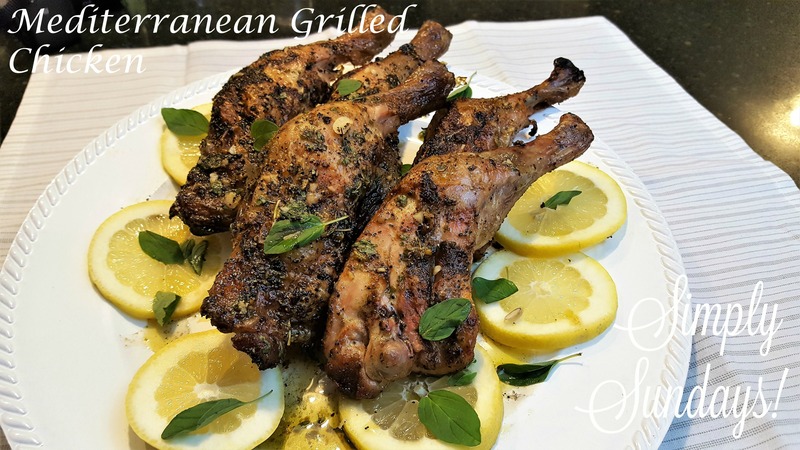 Mediterranean Grilled Chicken – Simply Sundays! Now you might be asking what makes this Mediterranean? Well that is quite simple, it is just a dressing of olive oil, lemon, garlic and fresh herbs that are basted on the chicken as it roasts on the grill!